Baby Poop Not Seedy For Breastfed Baby - A reason To Worry? Home > Baby Helpline > Baby Poop Questions > Baby Poop Not Seedy For Breastfed Baby – A Reason To Worry? 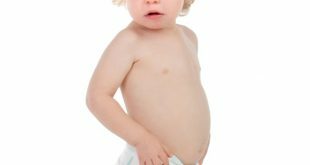 Baby Poop Not Seedy For Breastfed Baby – A Reason To Worry? My son is 7 weeks old and only breastfed. My issue is that his poop is not seedy and very infrequent (once a day). It has never been seedy. This was never the case with my other two children. They were very seedy and very frequent (after each feeding). I’m less worried about the frequency and more about the texture. My doctor thinks it’s normal. I just wanted to know if anyone else’s baby was like this or has any thoughts on the issue. The frequency of your baby’s bowel movements is definately normal. At around two months many breastfed babies start pooping much less often, even less than once per day. It can be almost two weeks between bowel movements for breastfed babies at around 3 months old without anything being wrong! About the texture; you are quite right that seedy poop is the most common. However, if your baby is gaining weight, doesn’t have colic and is overall healthy, I’d agree with the doctor – it is simply a normal baby poop variation. It is amazingly hard to find information on why breast milk poop is seedy. Some say the seeds are small pieces of fat, others say that it is milk protein. Based on all research I’ve read found, the seeds are simply milk waste. Breast milk produces very little solid waste, which is why breast milk poop will mainly be more or less liquid with only the smalls “seeds” that are solid. Formula fed babies may also have seedy milk. AND not all breastfed babies have seedy stools. So in any case, the seeds are nothing to focus on, regardless of if your baby’s poop is full of them or not. Bring a dirty diaper to the next check-up if you are still uncertain, so that the doctor can evaluate it first hand. My baby is currently 10 weeks old and poops once per day and when he poops its loose and yellowish green. Pediatrician says its normal. He currently weighs 11lbs and happy so I understand your situation. He went from almost every hour to once per day so it normal and as long as he happy healthy and gaining that weight so I can relate.